Hikyoga is an amazing new yoga practice taking yoga outside. 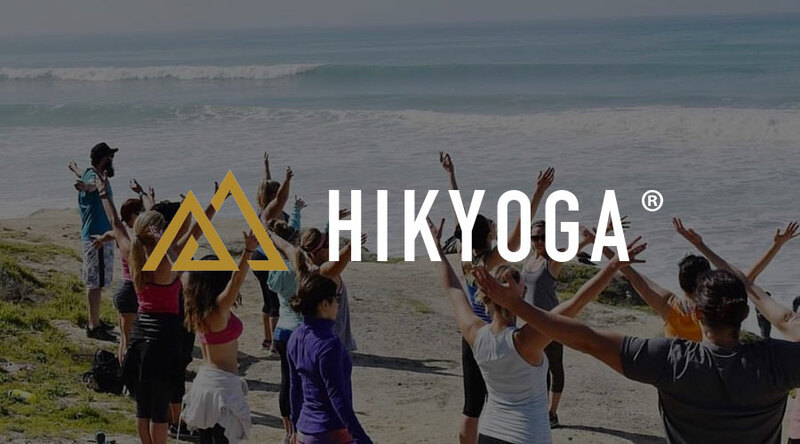 Hikyoga blends hiking and yoga. Hikyoga awakens the lives of others by promoting individuals to be more present in the outdoors. With Candidly, our community of artists can connect their Instagram account and sell photography that is engaging and authentic. Brands and design agencies from across the globe are eager to purchase these community created photos. These photos share unique stories and are proven to be more successful in marketing campaigns than traditional stock photography. Helping you feel good is our business! Bootleg Bucha is New York’s largest kombucha brewery. We’re proud to create beverages for the health-conscious crowd looking to get more out of what they drink. Bootleg Bucha Kombucha – Our 100% raw, certified organic kombucha delivers probiotics, antioxidants, vitamin B12, and naturally boosts your body’s gut flora. You’re Fired Apple Cider Vinegar (ACV) Tonic – Inspired by ancient wellness remedies, this 100% raw tonic with “The Mother” supplies ingredients trusted to support immune health. HempBucha® – Our 100% raw kombucha brewed with New York State industrial hemp provides all the benefits of our naturally fermented probiotic tea, plus cannabidiol (CBD). About Premium Mortgage: We’re not really the bragging type, however we genuinely love what we do and take great pride in being known for the exceptional service we provide to our customers. Over the past 20 years Premium Mortgage has been recognized by some of the industry’s most respected publications and professional organizations. Our hard work, honest values and in-depth industry knowledge continue to drive us, and we invite you to learn why so many home buyers won’t go anywhere else for a mortgage. Chelsea Young has been using Young Living Essential Oils & other holistic wellness products since she was just 9 years old. In 2014 at the age of 26, she started her Young Living business. In 2015 she founded Gettin’ to Livin’ Tribe, to share her passion for living a natural, chemical-free life with the world. Since then, over 13,000 individuals and families and growing, are on paths to optimal wellness through using Young Living Essential Oils, becoming empowered to do their own research, and ultimately reclaim their wellness - body, mind and spirit. She feels that your health is your most important commodity, and you deserve to live a life full of wellness, purpose and abundance!. Proudly based in Rochester, NY, since 2007, Tiny Fish Printing is a screen printing and apparel decoration company dedicated to customer care and expertly crafted custom apparel. Our customers are designers and creatives, innovators and entrepreneurs who show us everything a t-shirt can do, from revolutionizing a restaurant to motivating a work-out, inspiring change and igniting a hustle. Whether your design requires ultra-soft prints, vibrant ink, sewing and embroidery or retail-ready finishing services, we’re here to make your artwork shine. Neon Wave is a surf and snow inspired lifestyle shop committed to art, sustainability, and quality. They stock products from Herschel Supply, Saturdays NYC, Burton, and many more items committed to keep you moving forward. Neon Wave is a concierge to the modern nomad. The Perfect Granola started in our home kitchen as a way to feed the hungry. It was our plan to create a food company where we could give away food and profits to help those in need and empower the underserved. What started as a dream quickly became The Perfect Granola, giving thousands of pounds of food and support to hundreds of organizations. Our products are pure and simple and don’t just feed your body, but nourish your soul. BarreFlow will help you achieve a balanced body and a quiet mind in only 45 minutes! 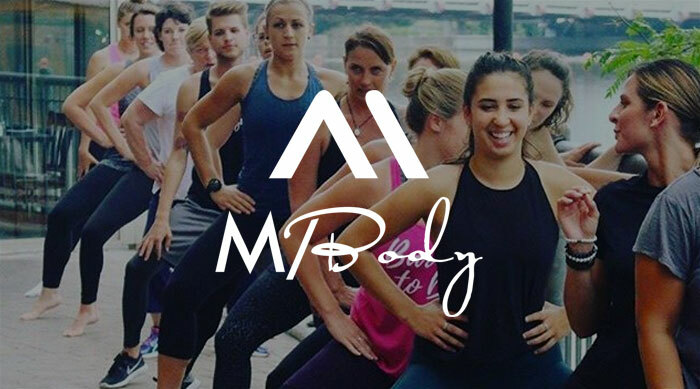 All classes are the same level as the technique was designed to work for people at all points on their fitness journey. That way, you can choose the class that suits your schedule, rather than being forced to work out at a specific time based on the level of class. Let's face it, fitness is just one part of life. That’s why M/Body combines spa, salon, nutrition, relaxation and athletic restorative services. It’s like nothing else in Rochester. Not just because of the services, but because of the incredible staff. Hempsol is not just a CBD Boutique; we're a place for education. We want our you to leave more comfortable with your knowledge of CBD. Hemp is a crucial turning point, not only in the future of healing, but the future of our planet. From pain, anxiety, and sleep, to muscle spasms, seizures, or eczema, CBD may be a useful element in your healing process. We're here to point you in the right directions, and share our own experiences. Featuring a comprehensive array of CBD products, we carefully select all of the brands featured in our store. Instead of a cookie-cutter approach to orthodontic care, Dr. James Gleason develops personal treatment plans for each patient. Working with you, starting at your complimentary consultation, he’ll identify your unique needs and then determine the treatment options that are right for you. This ensures you’ll have the strongest, most incredible smile in the shortest amount of time. Rusty Robot is a curated gift & novelty store with a mission! Cool gifts are hard to find but don’t worry, we have plenty of fun and nerdy gifts. When life gets a little crazy, be ready to come out of your cave with one of our DC Comics Batman snapbacks. Once you’re in the outside world where danger lies, strike back with one of our Star Wars t-shirts. And get ready for classes with our awesome back to school backpacks. A chance question from a friend, “You have a barrel roaster; why don’t you use it to make peanut butter?” led Jeremy to the peanut butter business. In 1976, Once Again Nut Butter was born. When Jeremy and Connie left Rochester for a more rural area, they moved the company into their 800-square foot basement and manufactured peanut butter there until they purchased the current facility in 1981. Sponsoring the NYS Yoga Festival is a great opportunity to connect with our wellness community. Inquire with link below and we will be in touch shortly. In the wellness industry and looking to share your products and services? We would love to have you as a NYS Yoga Festival Vendor.